The other day I had both my VMware 5.5 U2 host servers that were part of a VMware HA cluster –CRASH- with a PSOD at nearly the same exact time. Luckily it happened on a weekend and the outage wasn’t even noticed by users. My first steps in figuring out what happened was to open a technical support case with VMware and have their support engineer review and evaluate the core VMware core dump file. Unfortunately, during my conversation with the technical support engineer at VMware, I was told that the core dump files were not saved to disk (on either host server) and were lost during the subsequent rebooting of the servers post-crash. Obviously, without these files available, it became rather difficult for the support engineer at VMware to accurately determine root cause of the crash. Instead, we were left with several possible causes based only on our assumptions and hypothetical guesses. I was rather perplexed as to what happened with the core dump files so I decided to dig into WHY these files weren’t saved during the crash. VMware core dump locations are different between versions of ESXi. VMware 5.5 and newer core dump location: 2.5GB in size. VMware 5.0 and earlier core dump location: 100MB in size. Why is this important? It seems like the core dump location and configured size is –NOT UPDATED– during upgrades from pre-5.5 version to 5.5. In other words, if you upgrade a 5.0 host to 5.5, the VMware core dump location and partition size STAYS at 100MB. As a result, it’s very likely that your 5.5 host servers will NOT be able to create a core dump file for diagnostic purposes during a PSOD. 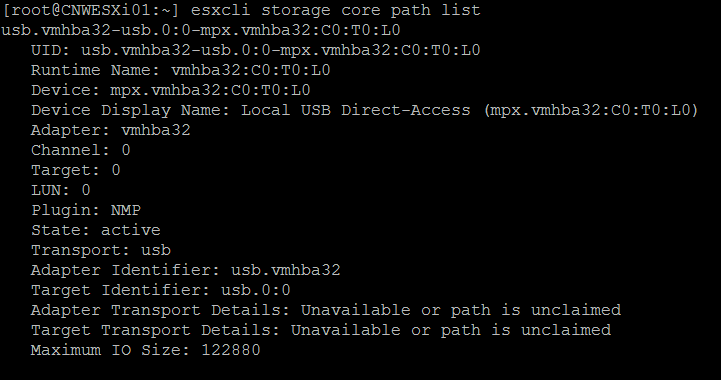 Remember that earlier when we did an “esxcli system coredump partition get” command, the results came back showing mpx.vmhba32:C0:T0:L0:7. According to the screenshot above, you can see that the partition size is only 110MB in size. Since we’re running ESXi 5.5 U2, that’s likely not going to be adequate for saving the core dump file during a PSOD scenario! On this particular VMware 6.0 server shown above, mpx.vmhba32:C0:T0:L0:9, is the VMware core dump partition and you can see here that it’s 2.5GB in size, plenty big for saving crash information during PSOD situations. Moving ESXi core dump File to a file instead of a partition. For reference, you can find the VMWare article here: https://kb.vmware.com/selfservice/microsites/search.do?language=en_US&cmd=displayKC&externalId=2077516 but this is relatively easy to do. Before doing so however, you may want to verify that someone else didn’t already set the core dump to go to file. You can do that by typing: esxcli system coredump file list and verify the list is empty. If it’s not, someone may have already moved the core dump from the default partition to a file. The screenshot shows that your coredump is active and configured! Going forward, any PSOD crashes on your upgraded VMware 5.5 host server should provide VMware core dump files that you can then send off to VMware technical support for further evaluation. 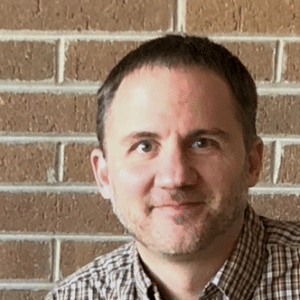 Jesse is the owner of Source One Technology and has been providing IT services to schools, nonprofits and SMBs in Waukesha, Milwaukee and SE Wisconsin for over 18 years. How can Source One Technology help? 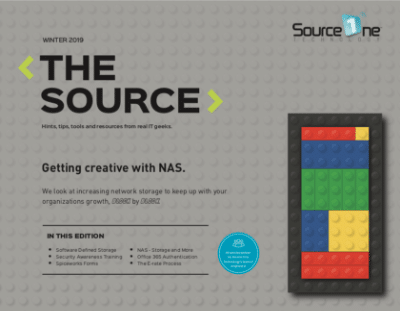 Source One Technology provides application, desktop, and server virtualization services to schools, businesses, churches, and nonprofits across Southeastern Wisconsin. We can provide support across Milwaukee, Waukesha, Kenosha and Racine counties. Get in touch now to see how we can help you with your VMware virtualization and performance optimization. Have we made Desktops and Desktop Support too Complicated? Is Application Virtualization now a necessity?